Applications must be made in accordance with the co-ordinated admission scheme operated by the child’s home LA. For children resident in Essex this is detailed in the Primary Education in Essex booklet. The school will require a Supplementary Information Form (SIF) to be completed in order to gain additional information to enable the Governors fully to apply the admission criteria. The SIF will not ask for any details of the ranked order of parental preferences. The SIF is available on line at www.stpeterssouthweald.org. The SIF needs to be signed by the relevant priest. If a SIF has not been returned by the closing date, the Governors will base their decision on the information that is available. A SIF will not be required if you are applying for a place solely under criteria 1, 4, 5, 7, 9,or 10. Applications must be made by the National Closing Date detailed in the Primary Education in Essex booklet which is available from the LA. Late applications will be handled as detailed in this booklet for children resident in Essex. Children resident outside of Essex should refer to the process for handling late applications published by their home LA. Meets the criteria for 2 but is not in the first ten places and has a sibling attending the School atthe time of application. The child has a sibling attending the School atthe time of application. 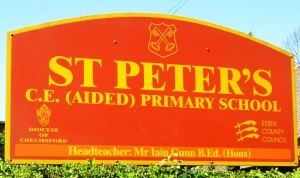 A parent of the child is a contracted member of the teaching staff at St Peter’s CE Primary School at the time the child will start attending the school. Meets the criteria for 2 but is not in the first ten places and the family lives within the Ecclesiastical Parish of South Weald plus the following additions: the eastern side of Honeypot Lane and Kavanaghs Road together with Weald Close, Ashford Avenue and Kavanaghs Terrace. The family lives within the Ecclesiastical Parish of South Weald plus the following additions: the eastern side of Honeypot Lane and Kavanaghs Road together with Weald Close, Ashford Avenue and Kavanaghs Terrace. The parents live within the Brentwood Borough and regularly attend worship at another Christian church, which subscribes to the Doctrine of the Holy Trinity (a reference will be sought from the Priest/Minister). Also considered under this category will be any children not awarded places due to over-subscription under Criterion 2 who have not met the requirements of Criterion 3, 4, 5, or 6. In the event of over-subscription, applicants who meet the minimum attendance criteria will be ranked in order by the length of time they have regularly attended the church with priority for longer duration. The parents live within the Brentwood Borough. Between the children living outside the area defined in Criterion 6, this will be the straight-line distance from the child’s home to the school. Straight line distances are calculated by the Local Authority, as defined in the Primary Education in Essex booklet, by use of a Geographical Information System which accurately measures the distance from the child’s home address to the school. 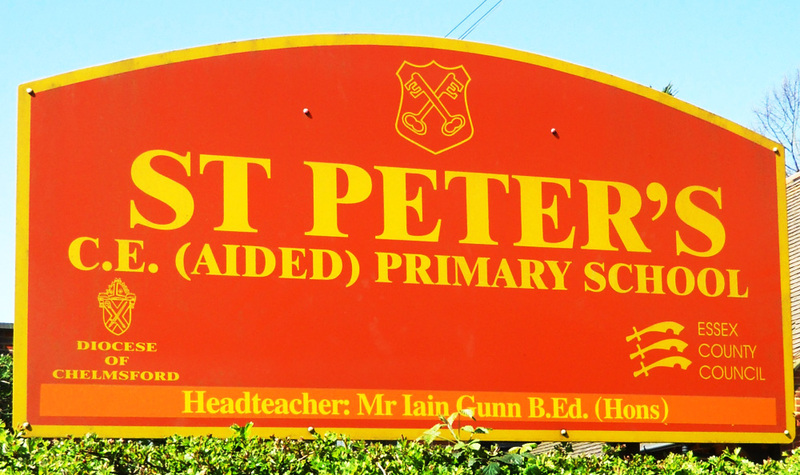 Children with a Statement of Special Educational Needs under the Education Act 1996 Section 324 specifying St Peter’s Church of England School South Weald will be offered a place. Church references (both from St Peter’s and from other churches): The parents’ attendance at worship is judged by reference to the length of their attendance and the frequency of attendance over that period.The Governors have accepted that “regularly”, in the context of worship, should indicate Sunday attendance at least fortnightly for at least 18 months prior to the application. A parent is a person who has a responsibility for the child (within the meaning of the Children Act 1989) or is otherwise legally liable to maintain him/her. A sibling is defined as a child living in the same family unit in the same family household and address as a child who attends the School and with a reasonable expectation that the brother or sister will still be attending at the time of admission. This, therefore, includes brothers and sisters, and step-brothers and –sisters. In addition, full biological siblings will be treated as siblings irrespective of place of residence. In the event of oversubscription, the LA will hold a waiting list until the end of the first week of the autumn term and continue to allocate places from the waiting list if spaces become available. After that date the school will hold a waiting list until the end of the autumn term for all unsuccessful applicants and for those expressing a wish to remain on that list for the remainder of the academic year. The above criteria will apply if a place becomes available; priority will not be given on the date that the application was added to the list. Applications outside the normal admission round must be made directly to the child’s home LA in accordance with their published co-ordinated in-year admissions scheme. Applications will be subject to the above admissions criteria. If it is learnt that a school place has been secured through the provision of false information, then the place, in consultation with the Local Authority, will be withdrawn, even should the child have already started to attend the school. The Governors’ Admissions Committee will admit pupils to the school in one intake. The school’s preferred pattern of intake is that all the children will attend mornings only for the first 10 school days and then full days thereafter. Any child who has been offered a place at the school is entitled to a full-time place in the September following their fourth birthday. Parents may seek a place for their child outside of their normal age group, for example, if the child is gifted and talented or has experienced problems such as ill health. In addition, the parents of a summer born child may choose not to send that child to school until the September following their fifth birthday and may request that they are admitted out of their normal age group – to reception rather than year 1. Any parent wishing to apply for admission out of the normal age group must do so in writing to the Chair of Governors clearly stating their reasons. Parents will appreciate that if a school is oversubscribed it will not always be possible for their child to be offered a place in the first choice of school. The School Standards and Framework Act (1998) states that parents, who are refused a place have the statutory right of appeal to an independent appeal panel. If a place is required for a child in any other year group than reception, or wishes for a mid-year place in the reception class, an application must, in the first instance, be made to Essex County Council. The school will then either offer a place, if one is available, or add the child to the waiting lists that are held by the school. Children with siblings at the school are given priority. If no sibling is at the school then the child will be ranked purely by the distance they live from the school.